Coming to Boston for the ALA Midwinter conference? 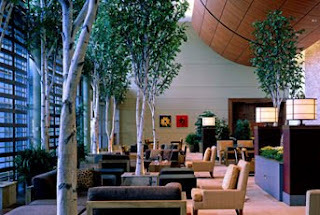 If you're a tweeting librarian, author, illustrator, publisher, agent, editor, reviewer, blogger, or anyone interested in children's and YA lit, join us on January 16, 2010 from 4-6 in the Birch Bar at Boston's Westin Waterfront Hotel. The brilliant Deborah Sloan found a venue that's connected to the Conference Center so we won't have to don winter woolies. We'll chat about books, share program ideas, see old friends, and, if you've been tweeting a while, finally meet the people you've been re-tweeting, listing, and following. Can you come if you're not on Twitter? Well, if you're reading this blog, you're online, so it'll take about two minutes to sign up for twitter. Here's a newbie's guide to get you started. Do a search for #alatweetup to find news and updates about the event, and if you tweet about it, use that hashtag at the end of your tweet so we can discover you. Here's a description of the successful BEA tweetup from the LA Times, if you're curious about what our event might be like, but we won't have (1) loud, hip music, (2) free vodka (ours is a cash bar) or (3) great swag and fancy giveaways. Your presence is our swag. Unless, of course, you want to get your swagger on by doling out cool stuff -- if so, contact Deborah or me. We will have a book swap, so authors, illustrators, and publishers, bring a copy of your book(s) to display and share. Invite your friends, but our capacity is 150, so register here and save your spot. How many good things in life are free? Thankfully, congenial company in the world of Kid/YA books is still one of them.